The Brilliant New Way To Quickly & Easily Store Your Bike! The Ultimate Storage Solution For Your Bike! 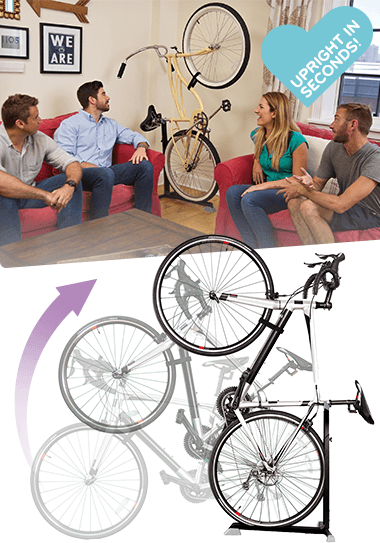 Easy-to-use upright design means no more struggling to lift & hang heavy bikes to make room in your house. 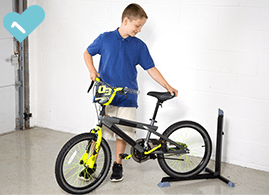 Prevents bikes from scratching or damaging walls, ceilings, cars, & more while you store. 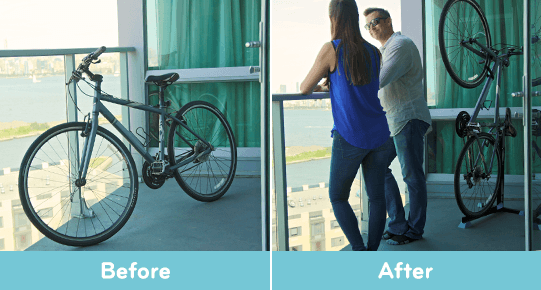 Lets you keep your bike inside, protected from bike thieves & other damage. 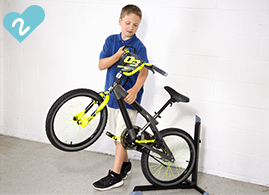 Adjusts to various heights, for bikes with 18 inch wheel size or bigger; so it's perfect for mountain bikes, road bikes, racers, beach bikes & more! 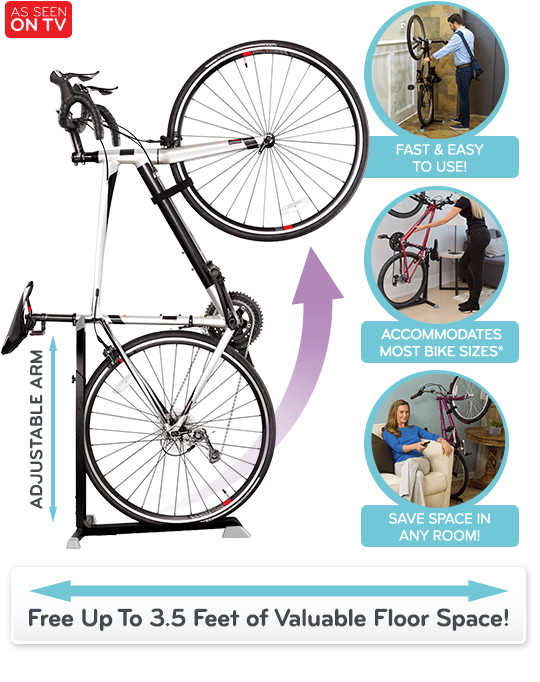 Bike Nook™ lets you store your bike instantly in a space-saving handstand position, freeing 3.5 feet of floor space in your living room, bedroom, or garage! Space, Safety, & Stability - It's That Quick & Easy! Saves Valuable Floor Space In Just Seconds! 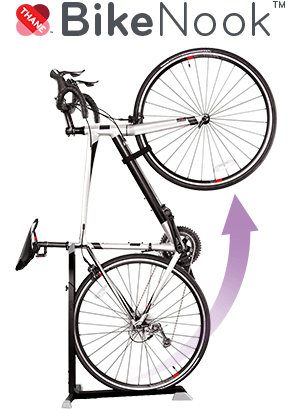 *Bike Nook™ is suitable for bikes with 18in (46cm) wheel size or bigger. Simply roll the back wheel of your bike onto the ramp. Pop the front wheel up & lock in place on the vertical brace. Secure the front wheel with the strap for added stability! 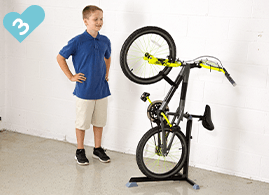 Offer Details: Get the Bike Nook today for $59.99 CAD plus FREE SHIPPING!